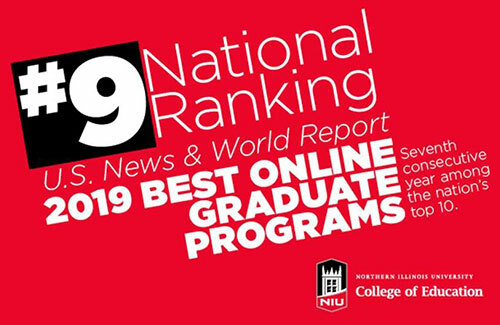 The NIU College of Education remains in the country’s Top 10 among U.S. News & World Report’s annual rankings of online graduate programs. NIU ties for ninth with Pennsylvania State University-World Campus, the University of Nebraska-Lincoln and the University of Virginia (Curry). It lifts NIU’s string of high recognition to seven consecutive years. Meanwhile, the college’s overall score climbed to 93 out of 100, while the Faculty Credentials and Training mark jumped to 96. Also ticking up to 3.1 out of 5 was NIU’s Expert Opinion score, based on a survey of high-ranking academic officials in education to help account for intangible factors affecting program quality that statistics do not capture. Dean Laurie Elish-Piper is celebrating the college’s continued dominance in Illinois – the closest competitor is the University of Illinois at Urbana-Champaign, which placed 16th – and among peer schools in the Mid-American Conference. 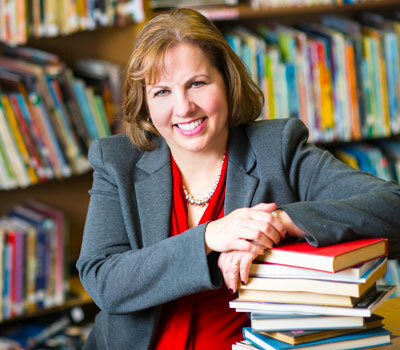 “We work hard in the NIU College of Education to not only to meet the expectations of current graduate students regarding course delivery but to get ahead of that curve, and our yearly inclusion on this list shows that we’re doing it right,” Elish-Piper says. The NIU College of Education has several online graduate offerings within the departments of Counseling, Adult and Higher Education; Curriculum and Instruction; Educational Technology, Research and Assessment; and Leadership, Educational Psychology and Foundations. Degrees offered online include the Ed.D. in Adult and Higher Education with an emphasis in Community College Leadership; the M.S.Ed. in Instructional Technology; the M.S. in Educational Research and Evaluation; and the M.S.Ed. in School Business Management. Online certificates of graduate study are available in Postsecondary Developmental Literacy and Language Instruction, School Business Management and Trauma-Informed Counseling while online endorsements offered include Library Information Specialist, School Business Management and Technology Specialist.